A lifelong foodie and a first-time mother, Fanae Aaron had lots of questions about how to teach her son to enjoy a variety of fresh, whole foods. So she sought out a diverse group of twenty award-winning chefs who are also parents to write What Chefs Feed Their Kids. Visit her website here. 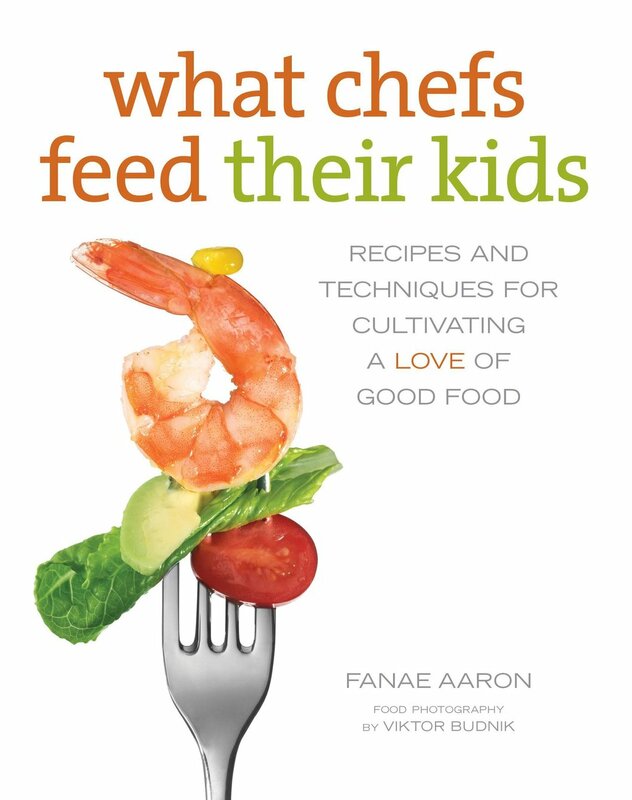 What Chefs Feed Their Kids, an NPR best cookbook of 2011, features 100 varied and easy recipes, strategies, tips, and stories, from top chefs who are parents. How do the people who know the most about food tackle the special challenges of cooking for children's palates? How do they get their children to join them at the dinner table when most kids would rather play under the tablecloth? Why do some kids love to eat broccoli, sushi, or pesto, while others insist on chicken nuggets every night? A lifelong foodie and a first-time mother, Fanae Aaron had lots of questions about how to teach her son to enjoy a variety of fresh, whole foods. So she sought out a diverse group of twenty award-winning chefs who are also parents. The book's first-class lineup includes: Eric Bromberg, Marc Murphy, Zack Gross, Ana Sortun, Piero Selvaggio, and Floyd Cardoz. These chefs stimulate their kids' curiosity about new foods by engaging them in the process without coercing them--and here they share their tips and stories, which provide an intimate glimpse into the chefs' family lives. Chefs' strategies include allowing kids to help prepare meals, taking them to farmers' markets, and giving them choices with healthy, family style meals. The book features seventy-five flavorful recipes--such as Kale and Scrambled Eggs, Baby Lamp Chops, and Nori Chips—from a variety of cuisines.